Who doesn't love vada's? The crispy vada's served with spicy and tangy sambar with onions, coriander leaves & desi ghee is just a delight. 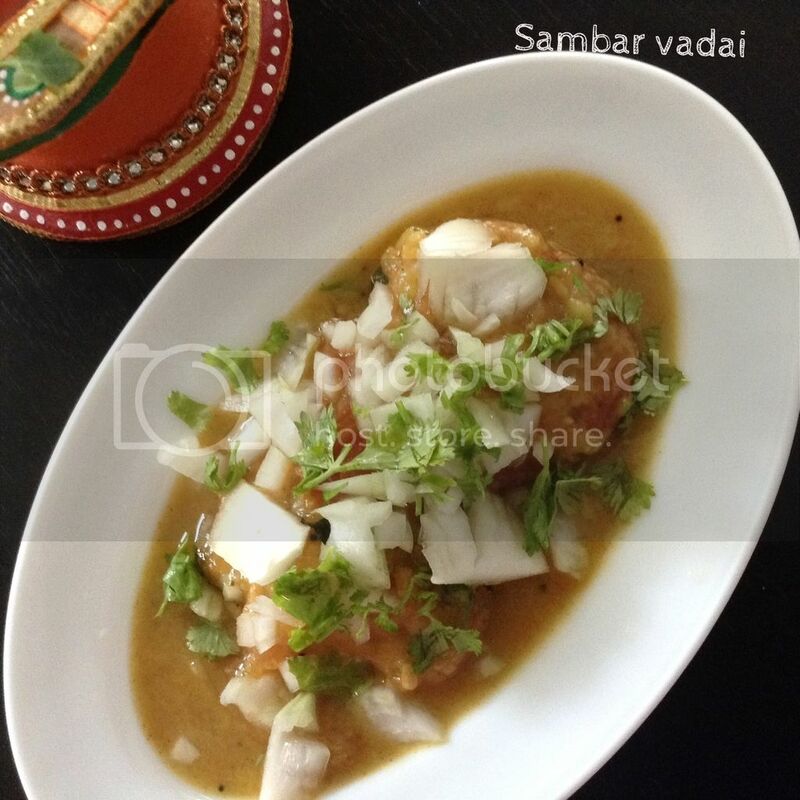 Love these savoury fried dumpling in sambar for my breakfast. It's yum !!! 1. Pressure cook the toor dal with little turmeric powder, hing and 1/4 tsp of oil. Smash and keep aside. 2. Heat oil in the pan, add mustard seeds, urad dal, hing, fenugreek seeds, curry leaves and shallots. Saute till tender. 3. Add finely chopped tomatoes, turmeric powder, tamarind pulp and salt to taste. Saute. 4. Add cooked toor dal, coconut and enough water. Cook for 5 mins over medium heat. 5. In another pan, add ghee and sambar powder. 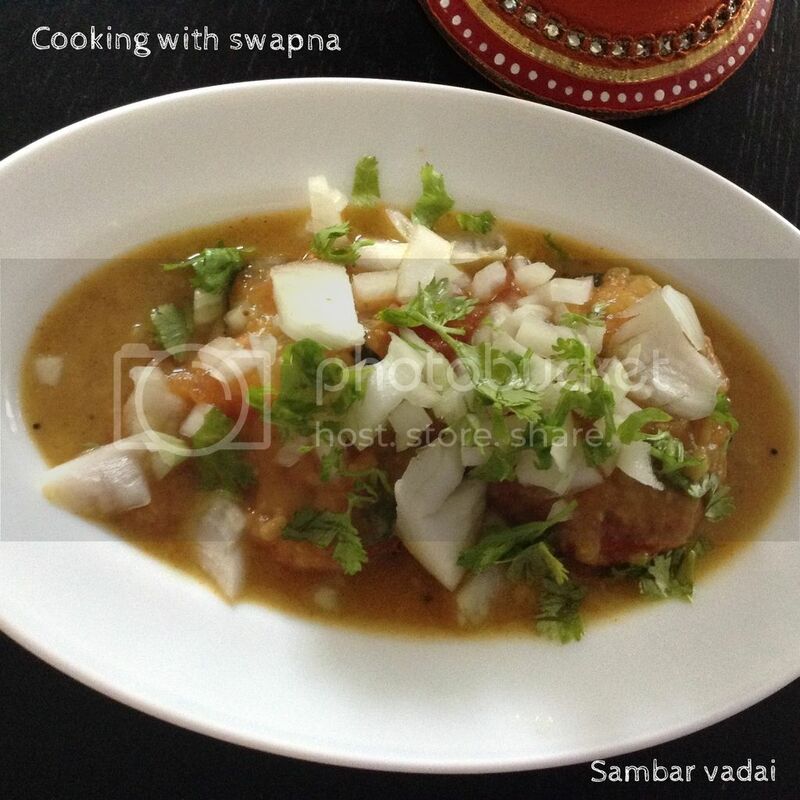 Cook for a second and immediately add it in the sambar. 6. Finally, add Jaggery and coriander leaves. 1. Soak urad dal in water for atleast 4 hrs & grind it along with green chillies & salt without using any water. Batter should be thick enough to shape vadas. 2. Add chopped onion, curry leaves, peppercorns, cumin seeds, corriander leaves, ginger pcs, coconut & salt to taste to the urad dal & mix well. 3. Heat oil in the pan. Wet your palm. Take a dollop of batter(lemon size), put it in your wet palm, flatten to a round shape & make a hole in the center with your finger. Dry fry them till golden brown & crispy. 1. Take around 3 cups of salted hot water. Soak the fried vadai's in the water for 3 - 4 mins. Squeeze the water between your palm. Set aside. 2. Arrange the squeezed vadai in the serving plate. 3. 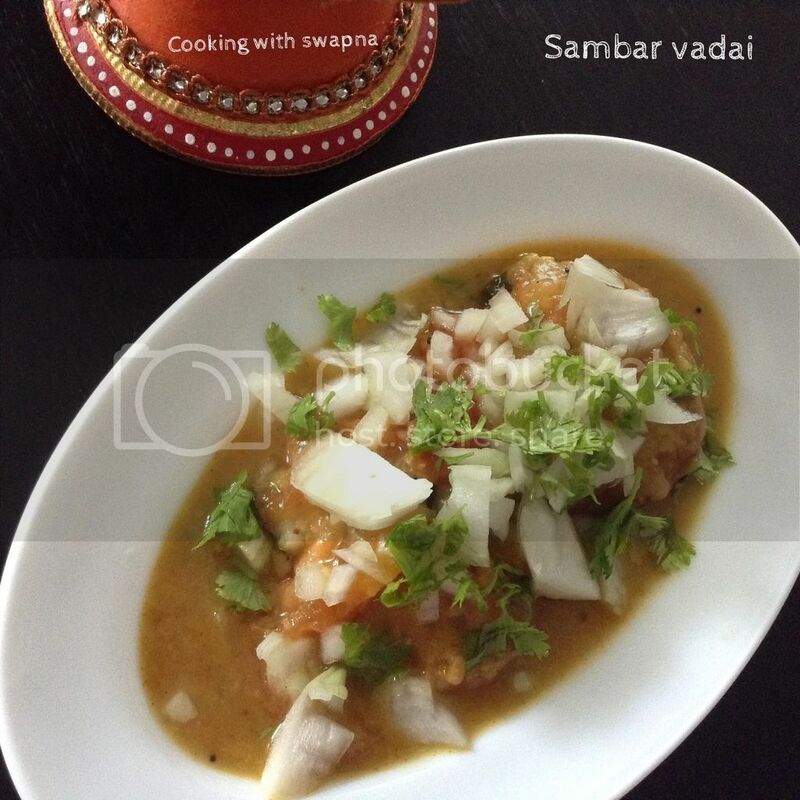 Pour generous amount of sambar over the vadai and garnish it with chopped onion, coriander leaves and a tsp of ghee.